December 23, 2017—One of the most egregious aspects of the recently passed stop-gap Federal spending bill is its treatment of those whose lives have been brought to ruin by the recent hurricanes and wildfires. After having increased the proposed new appropriation for additional disaster relief to Florida, Texas, California, and Puerto Rico from the Administration’s $44 billion request to $81 billion, the Congress then disbanded for the holidays without authorizing a cent beyond the $51 billion provided three months ago. Hundreds of thousands of people, still stranded without electricity, clean water, and safe shelter, will spend their Christmas in misery. They don’t even have any assurance that more help is on the way. 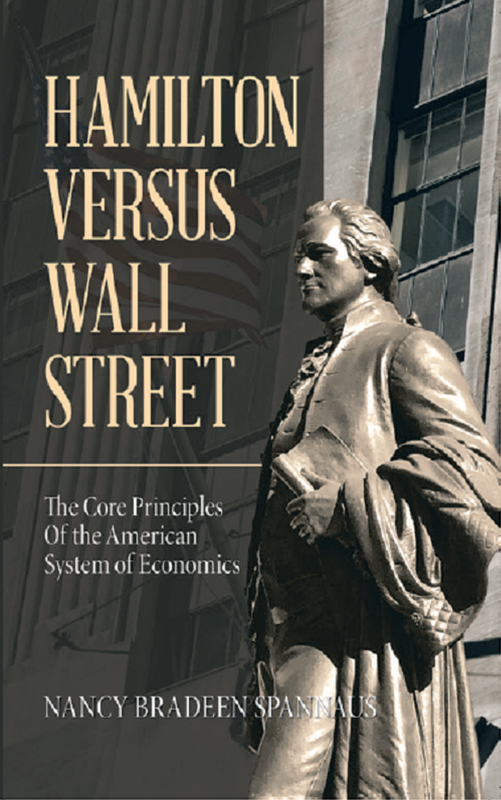 There is a strong moral imperative in the American System of Economics, as enshrined in our Constitution, and demonstrated in its means of fulfillment by leading American System Presidents such as Abraham Lincoln and Franklin Delano Roosevelt. That System demands that our Congress “provide for the General Welfare,” and “secure the blessings of liberty for ourselves and our Posterity.” Where those values conflict with alleged fiscal demands, ways must and can be found to put the general welfare first. People come first. Budget balancing comes last. Among these disaster victims, there is no question but that the Puerto Ricans are suffering the worst. Even the Governor now believes that the real death toll was approximately 1000, not the official 64. The most optimistic estimates say that 30% of the Island’s residents are without electricity, and while allegedly 95% of homes attached to a public water system have running water, its quality is highly suspect. Moreover, a substantial part of the rural population has no public water supply. The lack of shelter, access to medical care, and adequate, wholesome food is also massive—and unquantifiable in the interior of the Island. Businesses are decimated, and therefore so is employment. Add to the disaster picture the long-term effects of the loss of population—now estimated to be well upwards of 200,000, on top of the more than 500,000 who have left the Island over the last decade. The largest influx after Hurricanes Irma and Maria has been into central Florida, which is experiencing an increasingly unmanageable shortage of resources to deal with them. As would be expected, a large portion of these migrants are from the well-educated class in Puerto Rico, people essential to the rebuilding process. In addition to “delaying” urgent emergency aid, Congress included provisions in the tax bill that will make Puerto Rico’s situation even worse, by making it more expensive for mainland businesses to operate there. By classifying the island’s exports as “foreign imports,” the new law is expected, according to the Governor, to cost the Island 250,000 jobs. And the Island’s political leadership still is hogtied by the Financial Oversight and Management Board, which is demanding more austerity for the Island residents, in order to pay its unpayable tens of billions of dollars in debt. Tens of thousands of public jobs have already been eliminated by order of this body, furthering weakening the economy. Puerto Rican governor Rosselló has estimated that $94 billion is necessary to rebuild the Island to a livable, and improved, condition: $31 billion for housing, $17.7 billion for the power grid, and $14.9 for health care. This is likely an underestimate, given the lack of a modern transportation system in much of the Island, among other obvious deficits. His program would create jobs for local residents, as well as the necessary infrastructure. There is an eerie parallel between Puerto Rico’s current situation, and that of the Island in the 1930s. In 1928, and again in 1932, Puerto Rico was hit by two devastating hurricanes, San Felipe and San Ciprian. They killed hundreds, destroyed tens of thousands of homes, and severely crippled agriculture, the Island’s leading industry. On top of the natural disaster, there was the impact of the Great Depression, which further gutted the economy. Public works in Puerto Rico in the mid-1930s. FDR’s New Deal relief programs, which began within his first 100 days, included provisions for Puerto Rico, but the President realized that this was not enough. So in 1935, he used his authority under the Emergency Relief Appropriation Act, to establish the Puerto Rican Reconstruction Administration (PRRA) by executive order. This agency, in the words of scholar Geoff G. Burrows, aimed to move from “relief” to “reconstruction” by initiating long-term solutions to Puerto Rico’s problems. These solutions included rural electrification, the building of a cement plant (among other businesses), and the construction of water and road systems, and hospitals. FDR’s PRRA, which was supplemented by the CCC and other New Deal programs, began winding down with the war buildup in 1941, and ended in 1955. As in the United States as a whole, much of the Island’s current (remaining) infrastructure is the legacy of the PRRA public works program. This includes the Dos Bocas hydroelectric dam. This infrastructure was already in dismal shape prior to the hurricanes; now the task is to leapfrog the old technologies, to not only provide for Puerto Ricans today, but to create the basis for a prosperous future. FDR’s approach—reconstruction, not just relief—has been broached in Congress by Senator Bernie Sanders, who valiantly fought against the Oversight Board and its austerity approach in 2016. Sanders introduced the Puerto Rico and U.S. Virgin Islands Equitable Rebuild Act of 2017 on November 28. Sanders’s bill calls for a whopping $140 billion, of which $62 billion would go for handling Puerto Rico’s astronomical debt, $27 billion for infrastructure, and $51 billion for economic development. A large point of concentration is creating a new power grid, and appropriately so, as electric power is a sine qua non for progress and life. Sanders insists that reconstruction not restore the fossil fuel-based power plants on the Island, but concentrate on “renewable” energy. Unfortunately, he leaves out the most efficient, environmentally safe renewable power source, nuclear energy. Small nuclear power plants, which have been mooted by Energy Secretary Perry, would be an ideal solution for the Island. What is needed above all is the Hamiltonian model—using Federal support to turn Puerto Rico’s crippling debt into long-term credit for development. The Bank of the United States for Infrastructure and Manufacturing, which this blog has been promoting, provides the nationwide solution, and must urgently be established. It will not add trillions to the national debt, and it could and should prioritize projects in Puerto Rico. A pilot project in Puerto Rico, where the need is so overwhelming, could also be carried out immediately. Congress could create a Puerto Rico Development Bank, on the model of both Hamilton’s Bank of the United States, and FDR’s Reconstruction Finance Corporation, which would turn the Island’s currently worthless debt into credit, by having it exchanged into long-term bonds, and then guaranteeing the bonds through the U.S. Treasury. The primary reason investors would exchange debt with the Puerto Rico Development Bank is the Treasury guarantee, which gives the Bank’s bonds a present value as long-term debt, in contrast to the present value of Puerto Rico bonds, which are short-term debt and severely distressed. The investors will also get much greater security of eventual principal repayment. Given the decimation of the economy, even this project would likely require a total debt moratorium until the Island gets sufficient investment in infrastructure and industry to get on its feet. Puerto Rico’s Ponce port can be a major asset in its reconstruction. Puerto Rico’s potential for substantial economic growth is immense, since it is situated on a major trade route, and has one of the most modern ports (and the deepest) in the Caribbean in Ponce. The modernization process is still underway, but the prospects for Ponce’s Port of the Americas becoming a major hub both for trade through the expanded Panama Canal, and to North America, are great. This contrasts with the dismal state of the means of internal transportation; Puerto Rico has no inter-city rail transport whatsoever. The transportation grid must be built from scratch, along with the urgent reconstruction of an advanced power grid, sturdy housing, educational facilities, and a network of hospitals and clinics. This construction will create hundreds of thousands of jobs, a welcome prospect in a territory which has the highest poverty rate and rate of unemployment in the nation. To repeat: This Hamiltonian approach is exactly what is needed for the U.S. economy as a whole—not just Puerto Rico. The huge U.S. government debt begs to be turned into a productive asset, by serving as capital for a thorough-going investment program for the country as a whole. The nation desperately needs an overhaul of its banking system with Glass-Steagall protections for commercial customers, and a source of low-interest, long-term credit for restoring the nation to economic health and progress. Admittedly, such a huge program will take time to organize. Let’s start with a project for those most in need – the people of Puerto Rico. Disband the financial control board, put a moratorium on foreclosures and debt payments, and begin to deploy substantial funds to employ Puerto Ricans to rebuild their Island. Put the American System into action, and move forward to create a new Hamiltonian Bank of the United States.